Frank J. 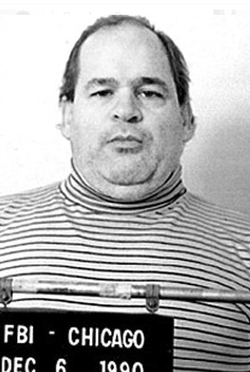 "Frankie Breeze" Calabrese, Sr., seventy-five, a convicted leader of the Chicago Outfit, died December 25, 2012, at the Federal Medical Center of Butner Federal Correctional Complex in North Carolina. He was serving a life sentence. Prison officials said he had been in poor health, with heart disease and other afflictions. Calabrese, himself, outlined an assortment of medical problems, including an enlarged heart, during a sentencing hearing in 2009. There were reports that Calabrese had been seriously ill for more than a year. His attorney told the Chicago Tribune that Calabrese had been taking seventeen different medications for a variety of health problems. The attorney, Joseph Lopez, recalled Calabrese as "quick-witted, smart and street-savvy." He said his client was "difficult at times because he was used to getting his way." Lopez said Calabrese's Christmas Day death felt "odd" because that day was Calabrese's favorite holiday: "He always talked about how much he loved spending Christmas with his family." Calabrese was born on Chicago's West Side to James and Sophia Calabrese on March 17, 1937. His early childhood was spent on Chicago's West Erie Street. Beginning his criminal career as a teenager, Calabrese was convicted and imprisoned for possession of stolen cars in 1954. Calabrese was back in the streets and running a lucrative loan sharking enterprise by the early 1960s. Loan customers were charged interest of ten percent each week. In that period, he became a protege of the Chicago Outfit's South Side boss Angelo "the Hook" LaPietra. His loan sharking operation continued into the 1990s, as Calabrese grew in importance within the Outfit. 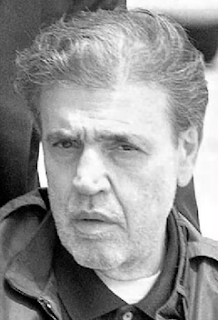 On July 28, 1995, Calabrese and eight members of his underworld crew were indicted for racketeering, conspiracy, extortion, mail fraud, witness tampering and impeding the IRS. Federal prosecutors said the group operated an extensive loan sharking racket in the Chicago area, using threats and violence in the course of business. Calabrese pleaded guilty and was sentenced to a long term in federal prison. Calabrese's son, Frank Jr. also pleaded guilty and went to prison in the loan sharking case. 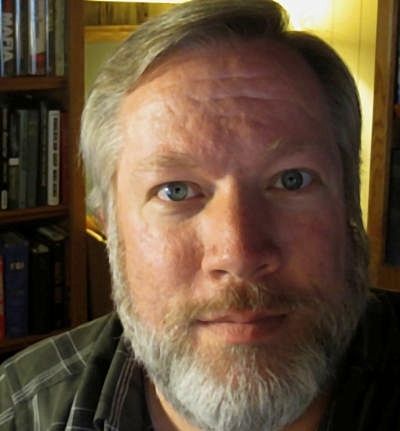 During their time in prison, Frank Jr. began cooperating with federal authorities and helped assemble evidence that was used against Calabrese and other Outfit leaders in the Family Secrets trial of 2007. Calabrese was convicted of racketeering and racketeering murders in that trial. Witnesses against him included his son and his brother. 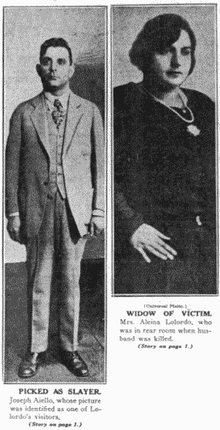 Calabrese took the stand in his own defense, admitting to loan sharking but denying Outfit membership and participation in killings. The jury found him guilty of involvement in seven killings. 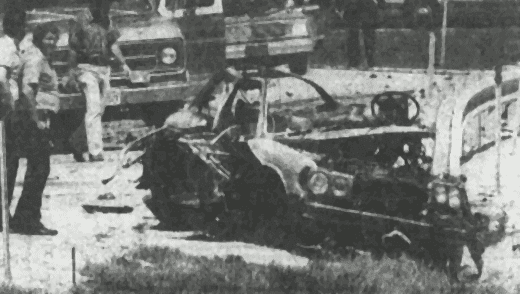 The victims were racketeer Michael Albergo (disappeared in 1970), trucking executive Michael P. Cagnoni (car bomb 1981), informant ex-mobster William E. Dauber and his wife Charlotte Dauber (shotgunned 1980), racketeer and former union business agent John Fecarotta (shot 1986), bar owner Richard Ortiz and his friend Arthur Morawski (shotgunned 1983). The jury could not reach a decision on six other killings Calabrese was accused of taking part in. Two other Outfit leaders, James Marcello and Joseph Lombardo, along with codefendants Paul Schiro and Anthony Doyle also were convicted of racketeering conspiracy in the case. Marcello and Lombardo were convicted of racketeering murders. Calabrese was sentenced January 30, 2009, to life in prison. In early April, Calabrese and three others convicted in the "Family Secrets" case were ordered to pay more than $24 million in fines and restitution to the families of their victims. Part of Calabrese's debt was paid in March of the following year, when FBI agents executed a search warrant at the former Calabrese home in Oak Brook and discovered a secret compartment in the wall behind a framed collection of family photographs. Envelopes in the compartment were found to contain $728,000 in cash. The compartment also held one thousand pieces of jewelry (many still in store display boxes or with price tags still attached), seven firearms, twelve audio microcassettes and a collection of handwritten notes and ledgers. 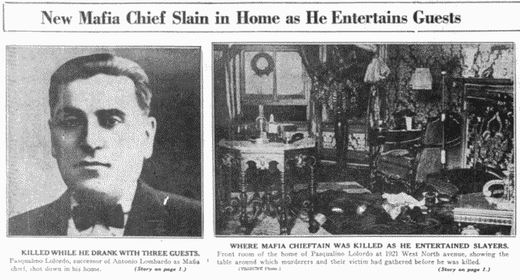 Coen, Jeff, Liam Ford and Michael Higgins, "10 murders laid at feet of 3 in mob," Chicago Tribune, Sept. 28, 2007. Donato, Marla, "Cicero revisits '83 double slaying," Chicago Tribune, April 12, 2000. Koziol, Ronald, and John O'Brien, "A deadly trick for mob figure," Chicago Tribune, Sept. 16, 1986, p. 19. O'Brien, John, and Lynn Emmerman, "Mob violence: Bullets riddle hit man, wife," Chicago Tribune, July 3, 1980, p. 1. Unger, Rudolph, and Philip Wattley, "Radio-control bomb kills suburbanite," Chicago Tribune, June 25, 1981, p. 1. 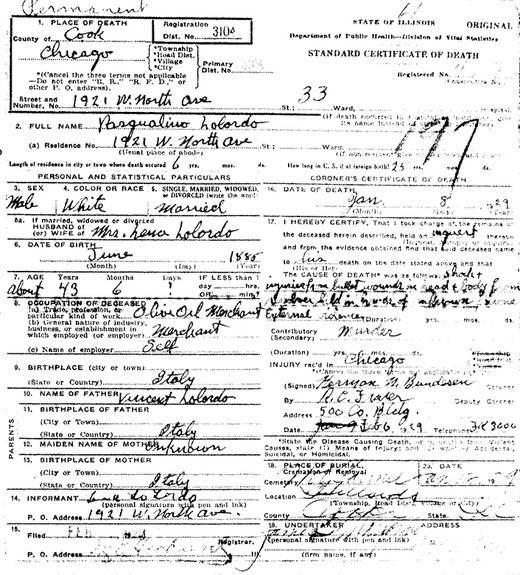 United States Census of 1940, Illinois, Cook County, Chicago, Ward 28, Enumeration District 103-1767. Weber, Bruce, "Frank Calabrese, 75, hit man for the mob in Chicago," New York Times, Dec. 27, 2012, p. 22. "A look at 18 murders detailed in mob case," Rock Island Dispatch-Argus, Sept. 11, 2007. "Chicago Crime Commission calls FBI raid on Calabrese home major blow to organized crime," Prnewswire.com, March 28, 2010. "Frank Calabrese, notorious Chicago mob hit man, dies in prison, authorities, say," CBS News, Dec. 27, 2012. "Members of 'street crew' indicted Norther District of Illinois," United States Attorneys' Bulletin, September 1995, p. 304. 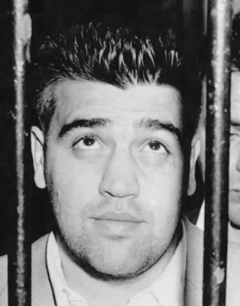 "Mob hitman Frank Calabrese Sr. dies in prison," Chicago Tribune, Dec. 26, 2012.